3 Gown designs w/long & 3/4 length sleeves. Gown can be gathered at the neck w/lace insertion. One view has a vertical lace bordered panel w/V-ed lace & embroidery embellishment. 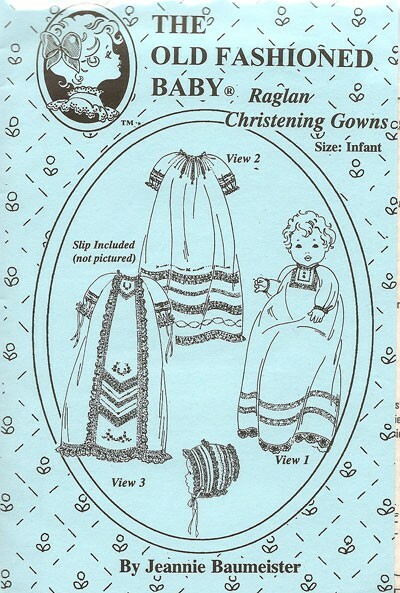 Embroidery designed included along w/a matching bonnet & baby slip. All gowns are 27" long.